LESSON #34: A good post production needs preparation. Learn what elements you need for an easy and effective post production. Learn Light&Shade technique and complete the step5. The Living – Yamit Aroya: In this analysis we will see how Yamit Aroya used our 5SRW method, following “The Living” lighting model. Her result is an eccellent work, read how she did. 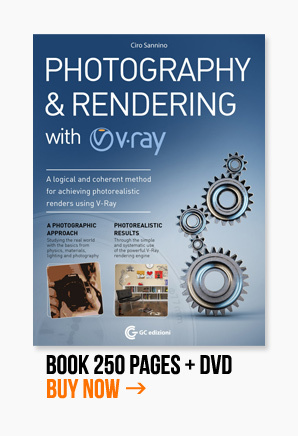 LESSON #33: Without using the curve of the V-Ray Frame Buffer, you’ll see how to improve the contrast of the whole image just using the textures and the tools: output, color correction and also photoshop.